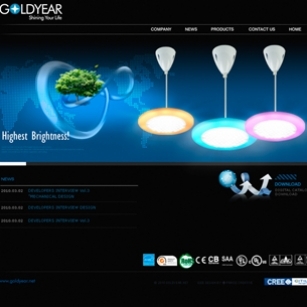 Goldyear is pleased to announce the relaunch of its new website at www.goldyear.net !! With more detailed product informaitons, up-to-date news on newly developed liquid cooling technology and new products, this new website offers a comprehensive resource for businesses that are looking to reduce their electricity bills and go green. In truth, the site really isn’t even finished yet as of the writing of this announcement! Of course, we’ll be continuing to build it going forward, but – as you will see – what we have to offer here is just so spectacular that we couldn’t wait any longer to get it online for you!